Sponsorship of Chamber events provides unique ways for members to publicize their business. You could have the opportunity to speak about your business, provide brochures and/or discount offers about your business, and/or obtain valuable name recognition about your business to hundreds of potential customers.Sponsorship levels vary be event. Throughout the year, the Romeoville Area Chamber of Commerce provides opportunities for your business to gain invaluable exposure to other businesses and to the community at large. Below is a listing of yearly events. As you can see we have Sponsorship Levels to fit the budget of any size business. In addition, we have opportunities for Members and Non-Members with the intent to open our network to a wider variety of businesses and organizations. Let’s Celebrate Cinco De Mayo! 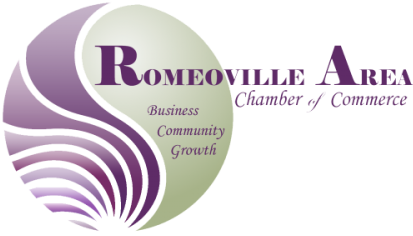 “The mission of the Romeoville Area Chamber of Commerce is to create and foster a growing business community by promoting economic opportunities, advocating for the interests of the members, providing educational resources and developing relationships between the members." "The Vision of the Romeoville Area Chamber of Commerce is connecting business to the community. "